Violence against women by their partners costs EU countries an estimated €109 billion a year, and all gender-based violence costs €226 billion annually. Jurgita Peciuriene said such violence places large costs on EU member states’ economies and societies. That’s according to the European Institute for Gender Equality, which says the research highlights the economic case for Ireland and other EU member states for investing more in countering domestic violence. Economic costs include lost output and the provision of services such as health, legal and social services as well as the provision of refuges for women. Jurgita Peciuriene, gender-based violence programme co-ordinator with the institute, said such violence places large costs on EU member states’ economies and societies. “It is likely that an increase in the currently small amount spent on prevention and mitigation of harms, by increasing spending on specialised services, would lead to a decrease in the extent and impact of the violence,” she said. Ms Peciuriene, who addressed a meeting on gender-based violence in Madrid, Spain last week, said 33 per cent of females over 15 years of age in the EU had experienced physical or sexual violence. More than half of women have experienced sexual harassment and one in five have experienced stalking. She emphasised the importance of the Istanbul Convention on domestic violence and violence against women. The convention sets out minimum standards for governments to prevent and punish violence against women. Though Ireland has signed up to the convention, it has not yet ratified it, to bring it into force. So far, 15 EU countries have ratified, including France, Denmark, Sweden and Spain. Ms Peciurine also highlighted the importance of data collection to measure violence against women. Data can be used as a tool for policy formulation and evaluation and for developing effective strategies on preventing and combating violence against women. The EU is developing tools to measure such violence and an EU directive, as well as the Istanbul convention, requires the collection of the data. In Ireland at present, An Garda Síochána is the only State institution collecting of the data. Also speaking at the meeting, Maria José Ordonez Carbajal, the Spanish government delegate for gender based violence, said Spain had a specific department to deal such violence. 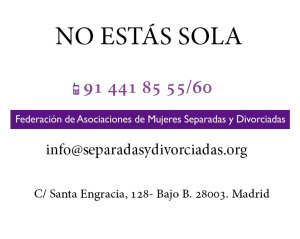 It has also developed a national strategy for the eradication of violence against women, which is prevalent in Spain. So far this year, 36 women and six children have been killed and 18 children have been orphaned. Ms Carbajal emphasised the importance of transparency around statistics “even when they are negative for the government”. And she highlighted measures taken to combat violence, including the introduction of electronic ankle bracelets. The bracelets are worn by men who have restraining orders made against them in court. She said an aggressor’s former partner carries an electronic device with her and if the man is in her vicinity she receives a warning of his presence and the police are contacted. So far, 957 such devices have been activated, Ms Carbajal said. Ana Maria Perez del Campo, director general and founder of the Centre for Attention, Recovery and Rehabilitation of Abused Women, in Madrid, said it was important that women who recovered from abuse did not go back to their aggressors. She said if a woman who completed her time at the Madrid centre was to return to her aggressor or become involved with another aggressor, she would consider herself responsible. “We did not do what we should have done,” she said. Some 75 per cent of women who move into the centre recover; those who stay only 24 or 48 hours often go back to their violent partners. “A woman who is freed from slavery, does not forget easily what slavery is,” Ms del Campo said. The centre, held up as a model for other countries by the European Institute for Gender Equality, is situated in a residential area of Madrid. It provides accommodation for 22 women and their children as well as extensive services. There are on-site psychologists, social workers, lawyers and teachers. There is also a small theatre and women participate in artistic programmes, aimed at helping them with recovery. The centre costs €650,000 annually to run. It is paid for by taxpayers who choose an option on their annual returns to allocate some of their tax to social funding. She said 95 per cent of men who are violent had violent fathers. “Children are transmitters of gender-based violence – it is not genetic it is a social learning – so we must work with the children,” she said. Ms del Campo also said the centre not only focuses on individual women and their children, but also on changing society for the better. “We must involve non-violent men; they do exist but thy are silent and if they are silent they are of no use,” she said.